The crusaders had negotiated with the Fatimids of Egypt during their march to Jerusalem, but no satisfactory compromise could be reached — the Fatimids were willing to give up control of Syria but not Palestine, but this was unacceptable to the crusaders, whose goal was the Church of the Holy Sepulchre in Jerusalem. 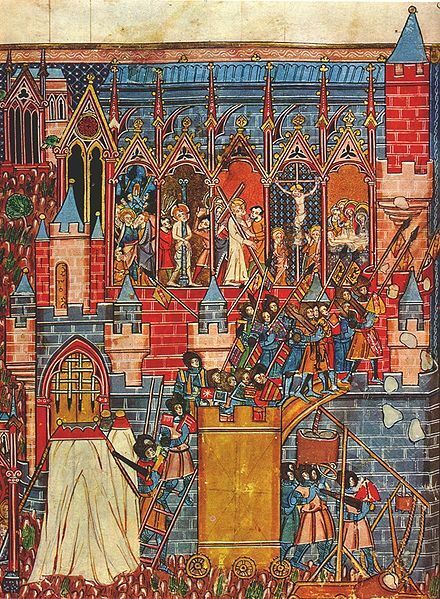 Jerusalem was captured from the Fatimids on July 15, 1099, after a long siege, and immediately the crusaders learned that a Fatimid army was on its way to besiege them. 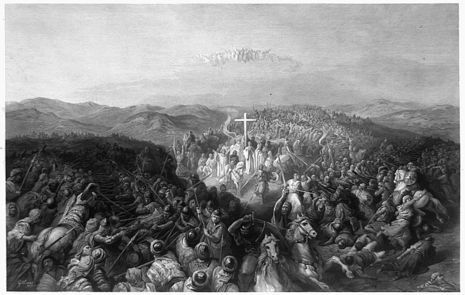 In the last action of the crusade, Godfrey defeated an invading Fatimid army at the Battle of Ascalon.